Givenchy Very Irresistible Fresh Attitude aftershave is a new, fresh and vibrant fragrance that embodies a sense of optimism and carefree spirit. The Very Irresistible Givenchy Man's attitude to life is what makes him so irresistible! 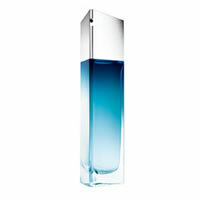 Givenchy Very Irresistible Fresh Attitude fragrance is a woody fresh aromatic aftershave highlighted with the intense sparkle of fresh mint, basil and lavender, which provides with a sensation of immediate cooling and an energetic effect, enveloped in Virginia Cedar Wood, a signature synonymous of elegant, distinctive and authentic masculinity.